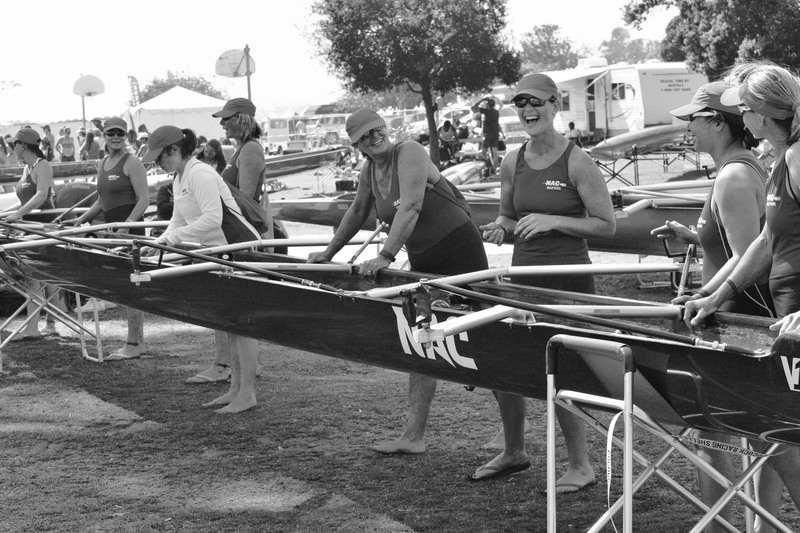 NAC, WOW Team – The NAC currently offers a women’s competitive and recreational rowing program. The Women on Water (WOW) are made up of women of all ages and experience. WOW was formed in 2000 by a group of mothers whose sons and daughters were rowing for the NAC Junior Team. Inspired by the medal-winning Juniors, they banded together to start their own rowing Program at The Newport Aquatic Center. Since that time, the group has grown and expanded into a competitive Masters team more than 35 strong. As a group, WOW practices on Tuesdays, Thursdays, and Saturdays. WOW members also schedule use of the NAC sculling boats. Additional workouts include the erg and the weight-room. Members work very hard to build personal strength and improve rowing skills as a basis for competing in races throughout the year. How can I join WOW? WOW’s membership is capped due to equipment and NAC space limitations, so this is a consideration with all potential new members. 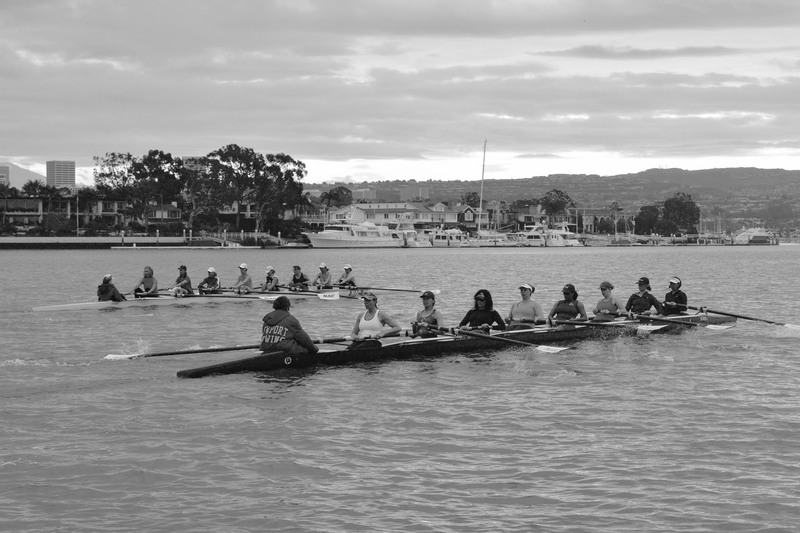 New rowers and those with less than one year of rowing experience can be considered for membership after completing an Introduction to Sweep Rowing weekend, and then a 4-weekend Beginning Sweep Camp, both held every year in late spring and summer. To sign up for these programs, please email nacwow@gmail.com. Rowers with one year or more of experience are considered on a case-by-case basis, and should email nacwow@gmail.com to describe their background. What is the cost of WOW membership? What is WOW’s practice schedule? Members must regularly attend practices on Tuesday and Thursday mornings from 6:00am to 7:30 a.m., and on Saturday from 6:15am to 8:45 a.m. If you have additional questions, please email nacwow@gmail.com.